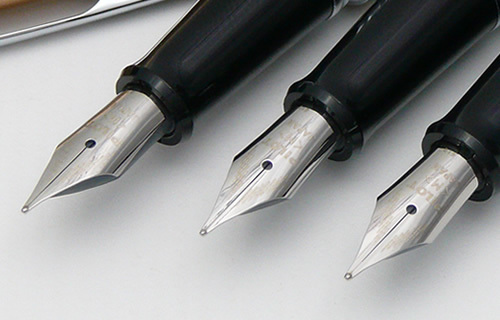 The Pilot Metropolitan fountain pen is a very affordable recent addition to Pilot Pens available in the USA. 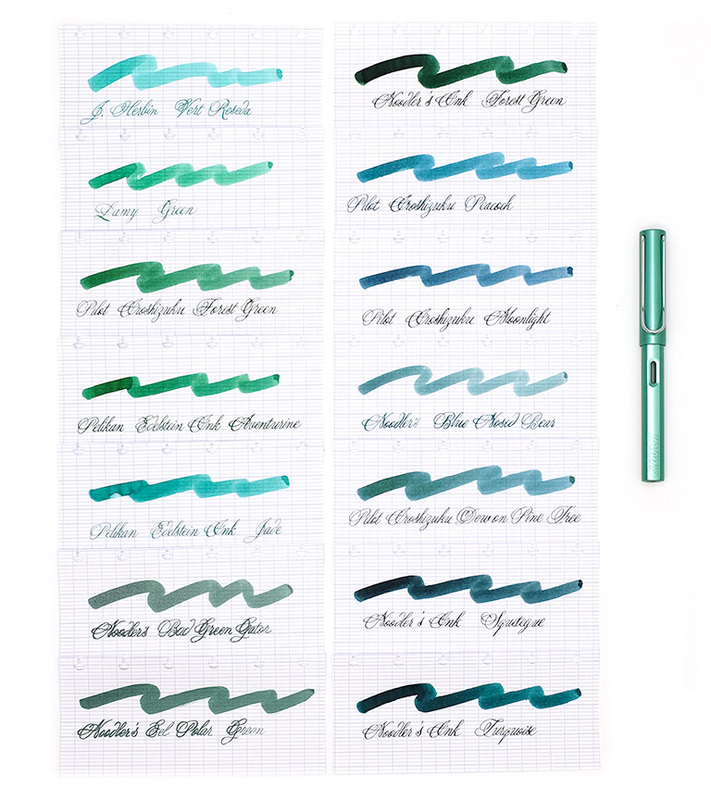 The current manufacturer’s retail price is less than $20.00, making it an attractive choice for a first fountain pen, for a pen that you might leave at the office or even for taking notes in class. To help you decide if this pen suits your personal taste, we’ll take a closer look at some of its features. 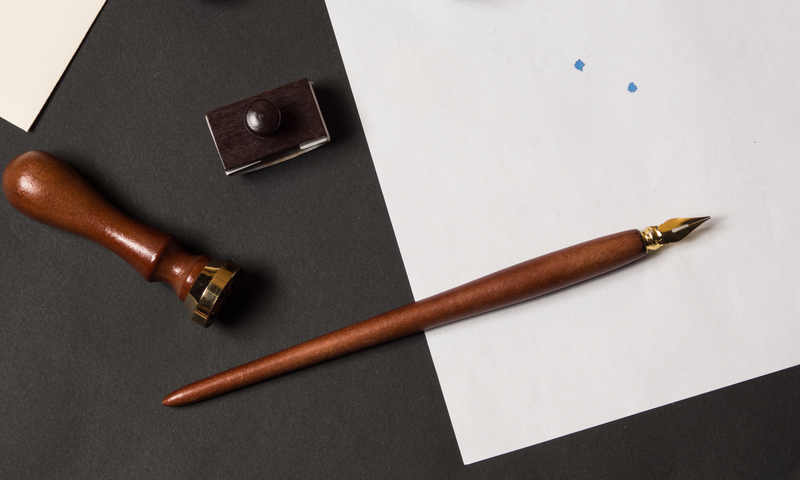 The first thing you might notice about this pen is that both ends of the pen are tapered making it rather cigar-shaped. The back end of the pen is tapered slightly more than the cap end to enable the cap to be securely posted while you’re writing. 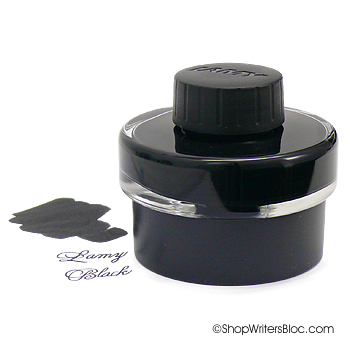 The body and snap-on cap are both made of metal for long-lasting use without cracking. 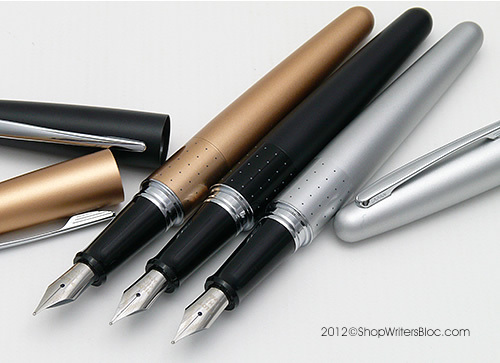 The Pilot Metropolitan fountain pen is available in three different matte finishes: black, silver and a champagne gold. 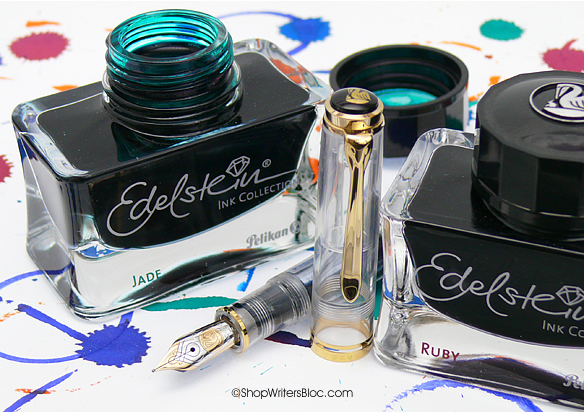 All of these colors come with a silver colored chrome clip, trim and nib and a smooth black ABS plastic grip. The middle part of the pen body is accented by a wide glossy band that is either plain or subtly decorated with dots or a zig-zag pattern. 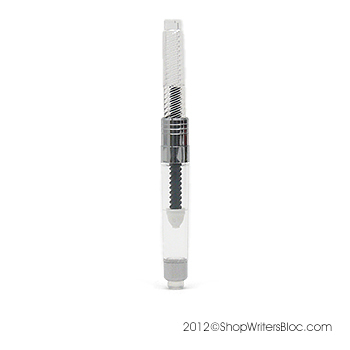 The Metropolitan comes equipped with a medium tip steel nib. 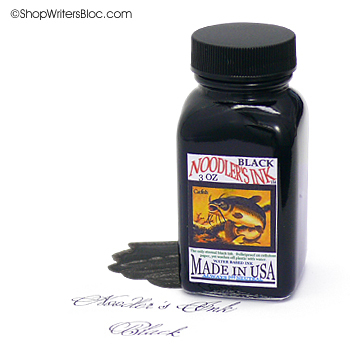 When I compare the line width this Japanese medium nib produces to the line width of LAMY’s German steel nibs, it is somewhere in-between a LAMY fine nib and a LAMY medium nib. 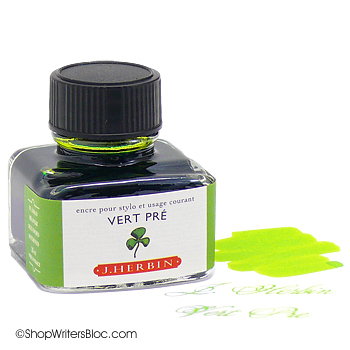 Not as fine as the LAMY fine, but not as broad as a LAMY medium nib. The nib on my Metropolitan proved to be a nice smooth writer and the ink flow is generous with Pilot’s black ink. 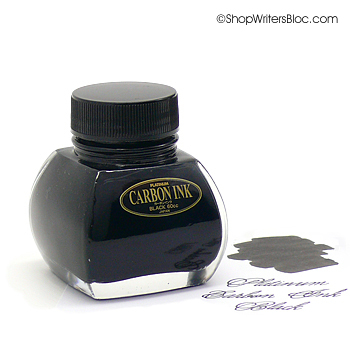 The nib is engraved with some fine lines and says “Pilot M Japan” on it. 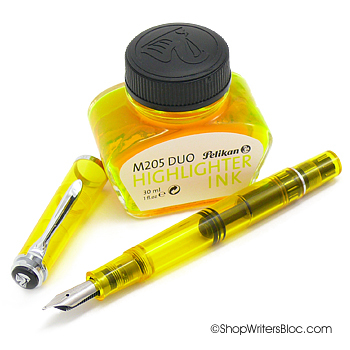 The Metropolitan does come with both an ink cartridge and an ink converter which is unusually generous for a fountain pen in this price range. 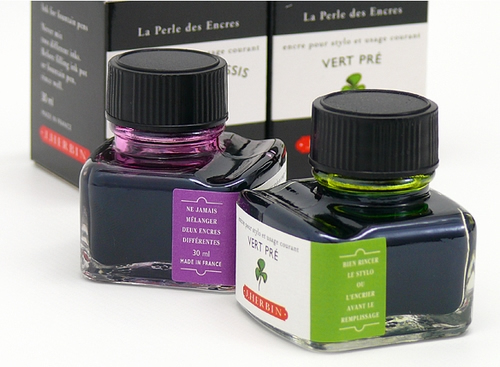 The squeeze style converter allows you to fill this pen with bottled fountain pen ink instead of just using Pilot ink cartridges. 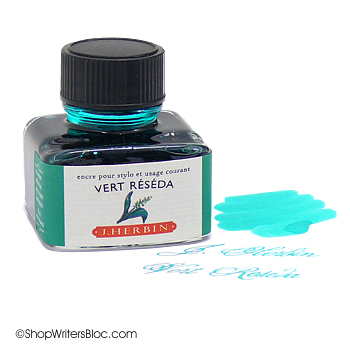 The drawback to this style of converter is that it does not fill with a large quantity of ink and since it is not clear you can’t see what your current ink level is. 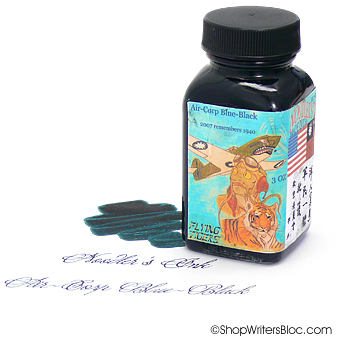 You can purchase a clear piston-style CON-50 Pilot ink converter if you decide you want to upgrade. 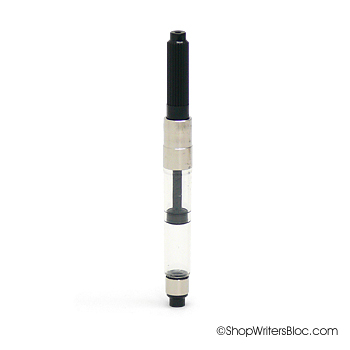 Or you can even refill your empty ink cartridges using a blunt tip needle bottle. 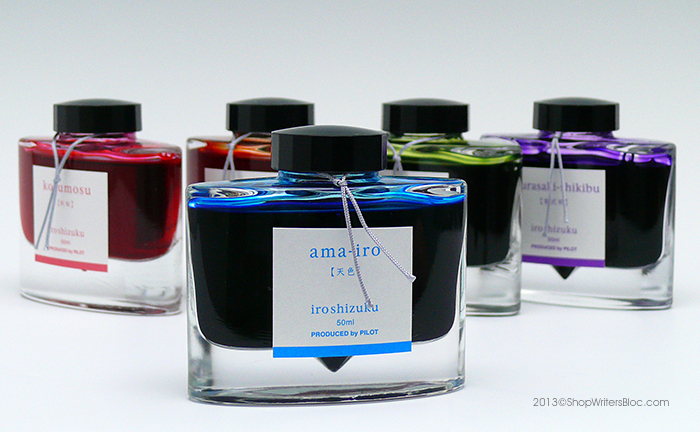 This pen uses proprietary Pilot Namiki ink cartridges and is not compatible with standard universal cartridges. 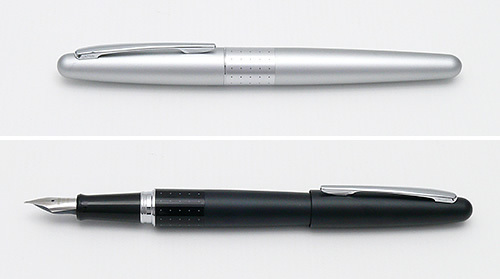 Since the body of this pen is metal, it is not suitable to be converted to eyedropper fill. 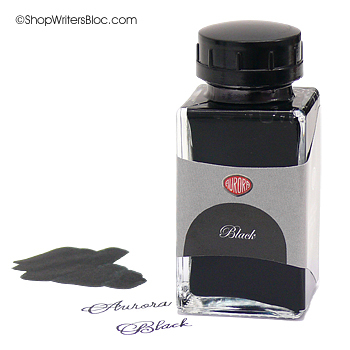 This fountain pen currently comes packaged in a contemporary black Pilot gift box that fits inside a black heavy stock Pilot sleeve. 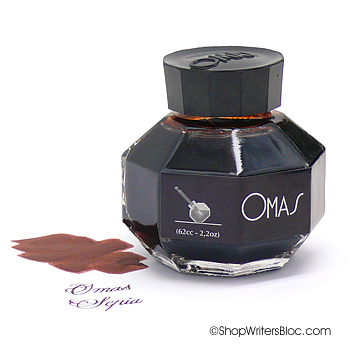 This is also very generous for a fountain pen of this price. The Pilot Metropolitan Fountain Pen approximate weight and sizes are: 0.9 oz, 0.5” diameter, 5 1/4″ capped, 4 3/4″ uncapped, 5 7/8″ posted. After writing with the Pilot Metropolitan fountain pen I feel that it really offers outstanding value and quality for a bargain price. 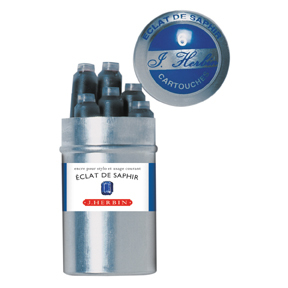 The pen is well constructed, writes smoothly and currently comes with extras such as an ink converter and nice gift box. 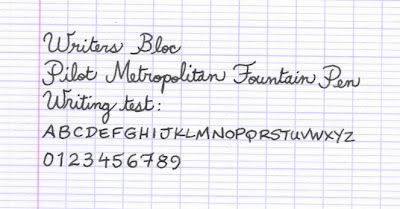 Are any of you writing with the Metropolitan? Would you recommend this as a beginner fountain pen?